Elephone S8 4G Phablet is smartphone designed to make life beautiful, good performance to enable multitasking activities, It comes with Android 7.1, having 6.0 inch 2K Screen, Helio X25 Deca Core 2.5GHz processor 4GB RAM 64GB ROM, 21.0MP Rear Camera Front Fingerprint Scanner. ELEPHONE S8 uses the curved hot bending technology on the glass back. The curved hot bending glass technology can change the body to different angles which fulfill your needs. 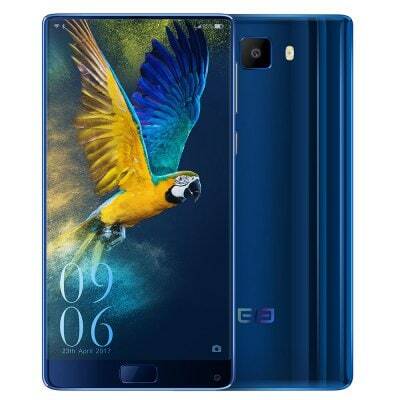 The seamless unbody makes ELEPHONE S8 an elegant artwork with grateful line. It also has four curved edges back, which is beyond your imagination. With Full screen and 2k display, ELEPHONE S8 shows you the clearest view of picutres and videos.There are more than 403 picture pixels in every inch of the display area, which can provide you the sharpness and colourful images. ELEPHONE S8 accompanies with you to feel the vivid world.